I agree. I also think this is why I tend to like her heroines. Great post! Loved this post and I love Hodges work. So beautifully dark and alluring. You can't help but love the antiheroes she creates. I also think that these type of characters are the ones that have the most to say. It's not like their self-loathing means they like talking about themselves, but there's a realization and discovery at the end of all that hate. Wonderful post! Thanks, Ms. Hodge and Keertana! I will say that Cruel Beauty holds a special place in my heart but I ended up loving Crimson Bound almost as much as I did Cruel Beauty. Rachelle is definitely one of the things that make the book for me and I love how well written her character is. I love that her self-resentment is for such a real reason. However, in spite of her horrible actions at the beginning of the novel, it's hard not to like her or to want to forgive her for them since she already beats herself up over them. I constantly wanted to hug Rachelle and tell her she was not a bad person, she had just done some horrible things but forgiveness can be hard. Nothing can excuse her actions but, given her circumstances, I think she can be forgiven. First off, let me just say this: Crimson Bound was awesome. As in it's the book that made this author an insta-buy for me. The whimsical feeling plus the effective portrayal of a guilt-ridden heroine were fantastic. Second, I have to say that I personally like flawed heroines more than the perfect ones. As the author said, it's a catalyst for a lot of discernment and discussion about humanity in general; philosophical questions that are not easy to answer, that can only be answered through a big event or experience that helps defines who we are. Glad to see the author feeling the same way! Flawed characters are the best characters. 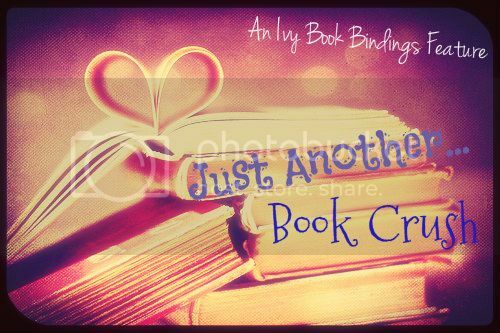 I really loved Nyx's character so after reading this guest post, I'm feeling more and more confident that I'll love Crimson Bound just the same! I enjoyed the darkness of Nyx's story, and since this is even darker, albeit in a slightly different way, I have a feeling I'll enjoy it even more. Positive, likeable heroines can be great, but as a reader, I really like being challenged and heroines like these two cerainly do that for me. It's nice to push my limits a little bit. It's really interesting when characters are featured struggling with the same conflicting thoughts we do on a daily basis; and I'm so glad that's put into perspective in Rachelle's character. It makes them feel more real and alive, thus giving us a stronger connection to the story. This is great. I was thinking about how well the subject of guilt / forgiveness was handled in Crimson Bound, so I'm glad to see this post. (I remember being really impressed by the moment where Rachelle is telling Armand what she did, and she waits for him to kind of ... make excuses for her? But instead, he agrees that she made the wrong choice - and forgives her anyway.) I also really liked (SPOILERY SPOILERS) the way her forgiveness / redemption is, um, literally connected to her initial crime - there's that great part at the end where Rachelle re-reads her aunt's last actions towards her, and is able to revise her narrative about her own crime. Anyway. 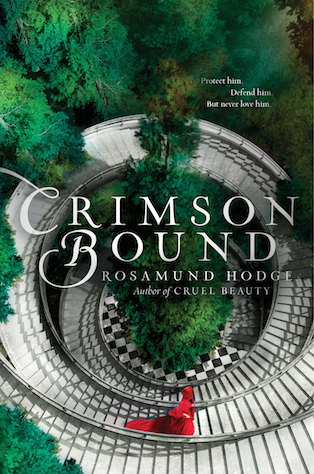 Great, totally fascinating post - I've really loved all of Hodge's posts on Crimson Bound - they've been so wonderful and thoughtful. Wow this is such a great and insightful post Rosamund, I love everything that went into helping you create Rachelle's character. After reading this post, I'm actually kicking myself for not having picked this book up yet. Great post ladies! Thank you for sharing this post! I loved reading it. I don't think it's often that authors are willing "to go there" with their heroines, and it's very cool that Rosamund took a chance not once but twice. Sheesh, I really need to read these books. That's awesome she's a favorite after two novels. And I love this post. It's quite intriguing and gives you a lot to think about. Thanks for the really interesting post. I really enjoyed Crimson BOund, it was a great story! Ahhhhh! I can't wait to read this Keertana! I loved Cruel Beauty so much and I'm so happy to know you liked Crimson Bound even better. I can't wait to meet Rachelle and find out the mitigating circumstances surrounding the innocent she had to kill. It gives me chills just thinking about it. I think a lot of women/girls do have that self-hate and it's something that we need to work through as we grow and change. The guilt's even harder to work through! Lovely post! What an amazing thought-provoking post! Thank you, Rosamund for sharing and thank you, Keertana for having Rosamund as a guest.